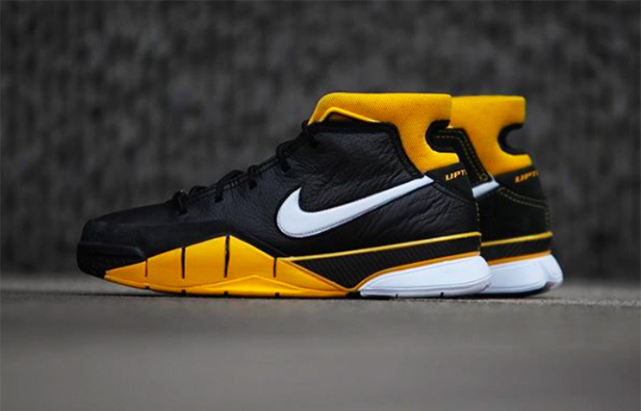 So to commemorate this incredible season, Nike team with Kobe Bryant ahead released the modernized & improved version of the Nike Zoom Kobe I, which is now called the Nike Kobe Zoom I Protro. 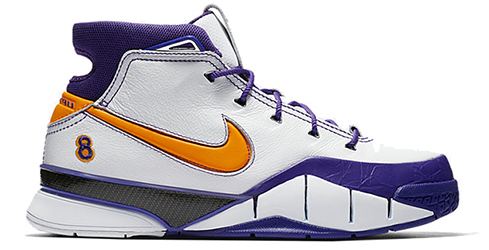 Without further ado, let’s see how these will stack up among the current generation sneakers. WEIGHT: 15.09 oz / 427.7 g.
The upper immediately exposes us that these came from the old days, when everything was bulky & durable. I mean, the early 2000‘s were not that long ago, but with the speed modern technology goes, it‘s a lot of damn time passed through. And I‘m not gonna lie, switching from this generation sneakers to the Kobe Zoom I Protro was rather challenging, mainly because of the materials. So these guys feature all leather upper with suede overlays for durability purposes, a little smack of squishy mesh for the ankle collar, nubuck inner panels and real carbon fiber to fully complete that old school vibe. Talking about old school, these are nothing like the current gen performers, which are all about this form-fitting knit & feather light construction. Straight out of the box, the leather did feel reasonably stiff & sluggish, that‘s what you‘re dealing with when having this type of setup. However, the more time I spend in them, the softer leather it became, meaning that the break-in period is most likely gonna take longer than usually. The cushion setup found in the Protro version does lightly differ from an OG pair. The forefoot & heel Zoom Air tooling was swapped for the full-length Zoom Air setup and they actually cut out some of unneeded foam, making the midsole a tad bit lower without losing any of performance. Comparing it with current stuff, this heavily reminds me of something like the Air Jordan XXXII or Why Not Zero.1 – something in between of those two. And knowing well the capabilities of Zoom Air, it’s safe to say that this full-length Zoom Air setup can easily handle any type of player from a quick guard, all up to a heavy center. I being a bigger dude (play as PF), I was completely satisfied with the amount of impact protection they offered me, while still maintaining fairly low ride and A-1 responsiveness when performing rapid moves. Overall, I was really pleased in terms of how well this midsole swap came out for them. I can‘t stretch enough how beastly this herringbone setup does perform no matter what you throw at it. I mean, this stuff easily puts a lot of current signatures to deep sleep in terms of performance. Hey, if you‘re playing on those nasty public courts, and I know most of you guys do, then these bad boys are all you need. You just lace them up, step on the hardwood and forget about it till you‘re done playing. No wiping is required. Or maybe just like 1 or 2 wipes per session. Lacing them up for the first time, I was like, damn… I should have gone half a size up cuz my feet are really suffocating up in here. Luckily, I took the risk anyway by actually taking them on the hardwood despite the issue still killing my feet, and guess what happened? At the end of the session, that issue was only a bad memory for me – just had to adjust the laces a few times during that break in process. Again, don‘t get carried away by that suffocating fit at the beginning, just let leather do its thing. Sooner or later that fine leather upper will adjust to your foot, giving you a comfy ride every single time you decide to lace them up again. Talking about the sizing, I recommend going true to size for narrow/regular feet owners, while wide footers should go ½ size up. Now let‘s talk about one thing that I love about them, and one that I didn‘t enjoy to say the least. 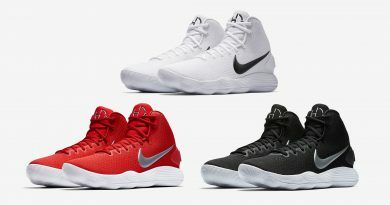 Starting on a positive note, the ankle collar did its job tremendously well by keeping your ankle contained as a true high-top sneaker, while that small cut out in the back of it created something like semi-low-top experience, allowing ankle collar to move simultaneously with you ankle. However, carrying this type of heavy materials & bulky construction onto the court, made me feel slower and less agile. In other words, it seemed like every time I try to execute some kind of fast movement, they just simply lag off a little bit, instead of sticking & moving in tandem with my foot. Basically, you need to be built like Shaq, have explosiveness of Westbrook, and be able to break ankles like Kyrie to actually experience some type of deficiency of support. I‘m telling you, they‘re built like a tank. And if you‘re not that guy described below, you should be covered in each and every way possible, except for ankle area (there‘s yet no stuff invented that would protect you from spraining your ankle or some other injury done to your ligaments). 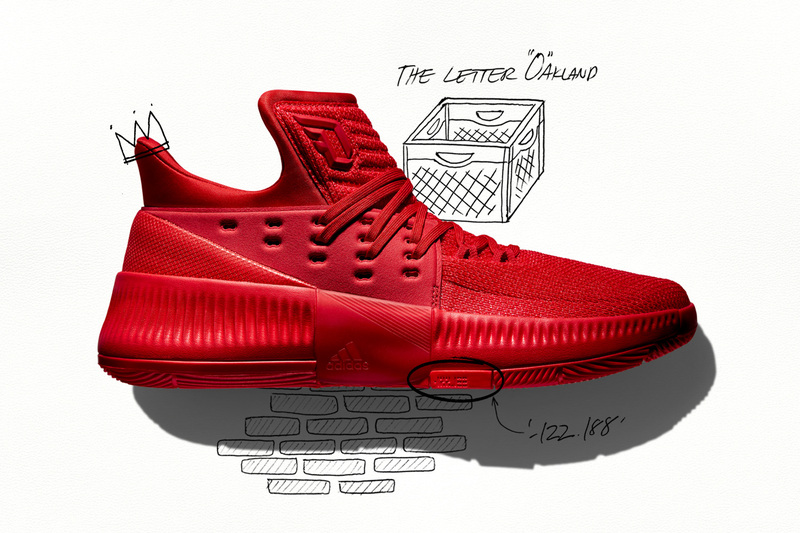 Again, lateral movement does not exist here, all thanks to the all leather upper which perfectly co-operates with strategically extended midsole parts, leaving no room for error. Now, looking at the back, there we can find an external heel counter and this interesting carbon fiber heel cage, assumably, to enhance heel lockdown even further. Personally, I didn’t notice any obvious changes or improvements having this carbon fiber wrapping my heel, yet the overall heel lockdown was great, didn‘t have any problems whatsoever. So whatever that carbon fiber piece does, it does its job imperceptibly well. Last but not least, due to massive outrigger & carbon fiber shank, the Protro is one hell of a well-balanced sneaker with nearly as good heel to toe transition as the Kyrie 4 itself. On one hand, the Protro holds its value for what it stands for (a retro performance model), it‘s build like a true work horse, the upper & built quality itself is purely amazing, something that you can‘t find in today‘s sneaker game anymore. 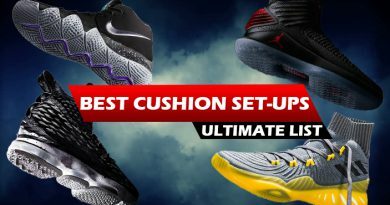 And overall, it‘s just a fun shoe to hop into when you‘re not in a competitive mode or you just need a trustworthy performer when hooping outdoors to withstand beating. On the other hand, I‘m still a young blood who does prefer the current stuff over the old one, mainly because of that second skin feel & incredibly light construction that a knitted upper can offer to you, clearing your head from any side thoughts, and just focusing on the game itself. Still, if you‘re an OG guy, these might be your next jams. 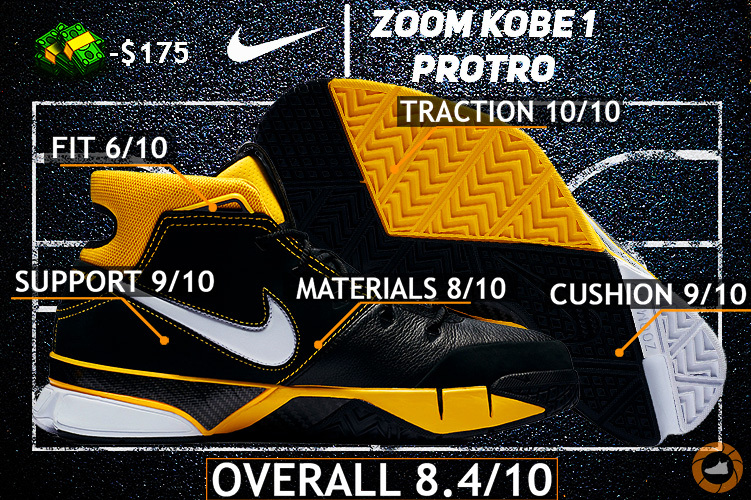 Hope you enjoyed my Performance Review on the NIKE ZOOM KOBE 1 PROTRO. Will you be picking them up? Let me know! ← Under Armour Curry 5 REVIEW – Is This a Step Backwards?